The newly-discovered ‘exoplanets’ could have life-supporting liquid water under the right atmospheric conditions, according to the space agency, but the chances of finding water in its liquid state are highest with the three in their star's 'habitable zone'. NASA revealed the new findings about the exoplanets, meaning planets outside our solar system, at a special press event in Washington, DC. The exoplanets circle the star TRAPPIST-1, which lies just 39 light-years from Earth. The discovery sets a new record for the greatest number of habitable-zone planets found around a single star outside our solar system. “This discovery could be a significant piece in the puzzle of finding habitable environments, places that are conducive to life,” Thomas Zurbuchen, associate administrator of NASA’s Science Mission Directorate in Washington, said in a statement. At a news conference to announce the discovery, one of the research team said TRAPPIST-1’s relatively close proximity to Earth means information on the planet's life-hosting potential should soon be informed by hard data. In a Q&A session following the announcement, NASA scientists said that the presence of water has not been confirmed on any of the newly-discovered planets. They also confirmed that they have yet to name any of the exoplanets, because there is no easy system for naming planets outside of our solar system. The exoplanet system is called TRAPPIST-1 after the Transiting Planets and Planetesimals Small Telescope (TRAPPIST) in Chile, which was used by researchers to discover three exoplanets last year. 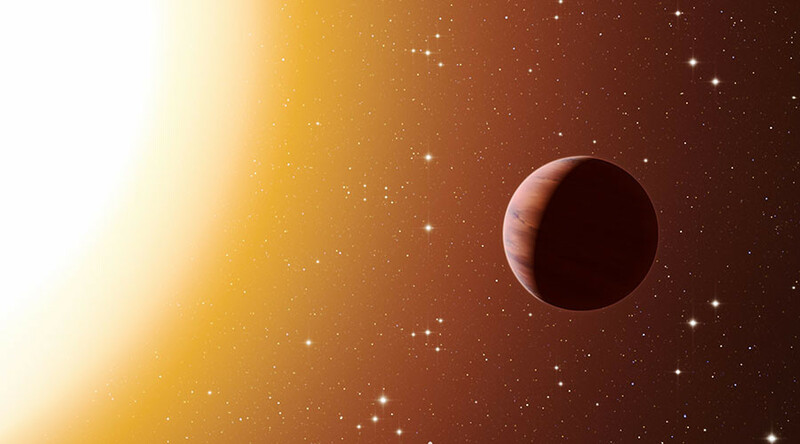 The latest discovery, which was made using the Spitzer Space Telescope, confirmed the existence of two of those previously discovered planets, along with an additional five. Data gathered so far suggests that all the planets are likely covered with a rocky surface. The new results were published Wednesday in the journal Nature and announced at the news briefing at NASA HQ. "The seven wonders of TRAPPIST-1 are the first Earth-size planets that have been found orbiting this kind of star," said the lead author of the paper, Michael Gillon. "It is also the best target yet for studying the atmospheres of potentially habitable, Earth-size worlds." The TRAPPIST-1 star is much cooler than our sun and is classified as an ultra-cool dwarf, meaning it is cool enough for liquid water to exist on planets orbiting very close to it, much closer than is possible even on planets in our solar system. All seven of the planets are closer to TRAPPIST-1 than any planet in our solar system is to our sun. The planets also are clumped very close to each other, NASA says. If a person was standing on one of the exoplanet’s surface, they could potentially see geological features on the neighboring planet.